To reach children with the Gospel and to bring them up as disciples. We meet every Sunday from 10.30 am to 12 noon at L3 Fellowship Hall for Praise and Worship before the children proceed to their respective classes. We have classes from Kindy to Primary 6. We reach children with the life changing truth and wisdom of the Bible through teaching Bible content, praise and worship and special programmes like Character Building, Memory verse Sunday and Evangelistic Sunday. The children learn to know God and can personally experience spiritual development. Psalm 127:3 says, "Children are a heritage from the Lord". With God's help the SS Ministry can pass on the baton of faith to the future generations. We need to reach and teach children aged 4-14 to be God's agents of transformation in our communities. We are always in need of teachers and we pray for more brothers and sisters to guide our children to grow in wisdom and stature. Be our partners in this ministry. Fellowship Lunch for Sunday School teachers and families. As we move into the 4th Quarter of 2015 we give all glory to God for leading and guiding us in the planning and carrying out of the activities to bless the Sunday School children. We pray that the teachers will continue to be faithful and committed in this ministry. We also thank the pastoral team for their support and encouragement. We praise and thank God for all the children and teachers in Sunday School. We continue to reach children with the gospel and bring them up as disciples. As we begin a new year, we look forward to God's provision and guidance for all that we have planned for 2015. May His will be done and the childrenl be nurtured in His Word and learn to love Him more dearly. This year, 2015, our goals will fit into the church's 'Bigger Picture' of "Passing on God's Love". 7 children were confirmed. 1 baptized. 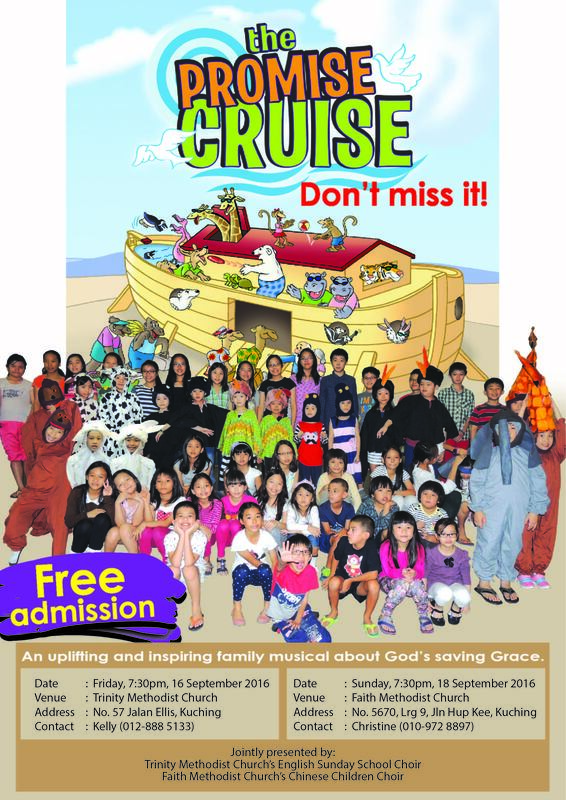 Song: "Kids Telling Kids About The Love of Jesus"
Various activities will be carried out to instill this character trait based on Bible study, craft and story telling. We thank God for the team of dedicated teachers, giving their time and talent to serve him with love and dedication. We thank God for all the children in our midst.